All of Impatica's products are available for no-obligation evaluation. All evaluation versions are fully functional versions of the software that you can play with and evaluate before you buy. Go ahead, kick the tires! 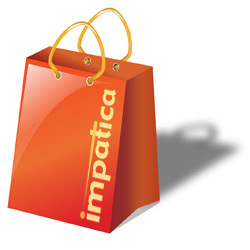 Use the secure Impatica Online Store to place your order for Impatica products. It's the fastest, easiest way to get "impaticized"! Have questions about purchasing Impatica Products?